The MMCC is made up of parents/guardians of Marion McVeety Elementary School (McVeety) students, local community members, the McVeety principal, and some McVeety staff members. 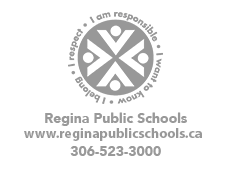 The purpose of the MMCC is to act as a representative for parents and the school community and to be a liason to bring the advice of parents/guardians and the community to the attention of the school administration and the Regina Board of Education. MMCC also encourages parent and community engagement in the learning and well-being of students. Getting involved with the MMCC is a great way to stay informed about what is happening at the school. It is a wonderful opportunity to meet and get to know some of the administrators, teachers, and other parents in our school community. It also provides you with the opportunity to directly impact your child’s school by providing input and opinion on relevant matters.